Aston Martin Racing Children's Car T-Shirt. 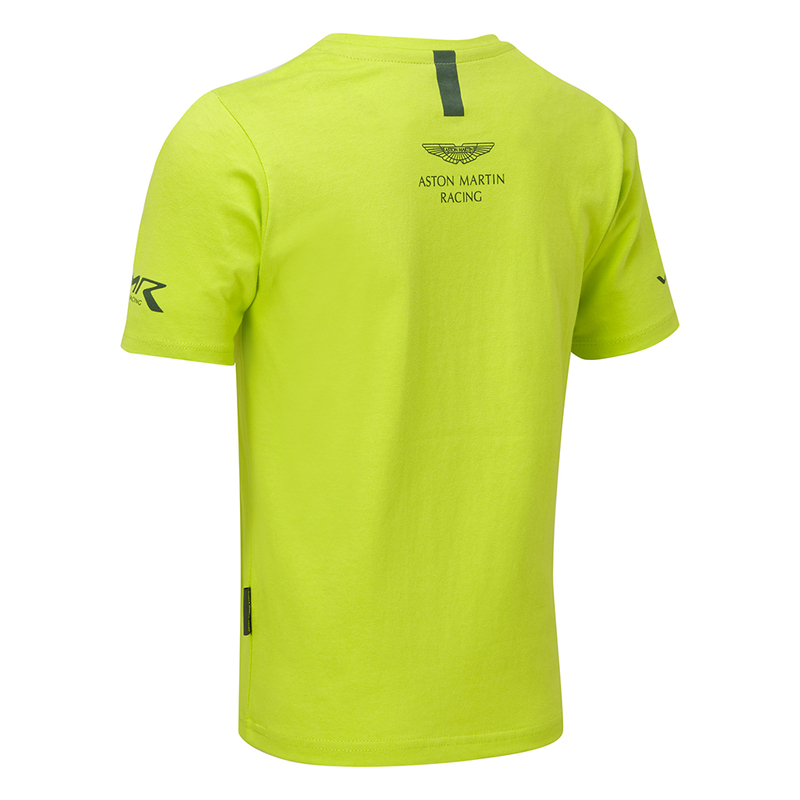 A classic lime green cotton crew neck t-shirt with the Aston Martin Racing Car on the front. Featuring branded neck tape, rubberised branded side tab label and the Aston Martin Racing logo with signature green strip to the back. Related links to "AMR Children's Car T-Shirt"